Nearly 20 years after Central was founded, Louis Sullivan coined the concept of "form follows function." It was an incredible declaration in 1896 and supported his vision that as circumstances change, so must the structure or form to accommodate the change; in his case building design. He acknowledged that America was changing the way it lived and transacted business. People were moving to the city from the rural areas of the country in search of jobs and opportunity. His response to this change was to build up rather than out, and in doing so he earned his title as "the father of the modern day skyscraper." The same could be said for the Central Insurance Companies in 2018. We have grown our business into a 24-state platform, offering property and casualty products through the independent agency channel. We increased our overall premium writings by 7.7% to a new all-time high of $770 million. Later in this report you will see that the commercial segment of our business increased by over 12.5% due to a shift of writing increased automobile exposures and program business. New partners in Nevada, Utah, and Idaho were an exciting part of this growth. We continue to seek opportunities in expanding our geographic footprint and will continue seeking new agency relationships well into 2022. We have begun a multi-year project in revamping our technological capabilities and incorporated analytical analysis into our decision making. We recognize that our policyholders demand cutting-edge technology in managing risk in their personal lives and businesses. Our efforts are centered on making policyholder information and transactions accessible and meaningful regardless of when or how they interact with our company. Equally important, our future system changes will allow us to develop and more efficiently execute service to both our agents and policyholders at a level they expect. 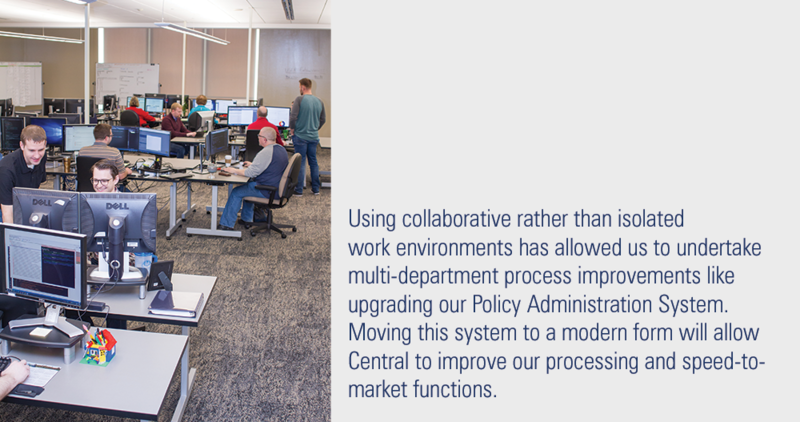 We have initiated changes to our internal organizational structure with a goal of leveraging the technical expertise and communication across our operational departments insuring improved efficiency and strategic decisions. We believe we can increase the value of our company to you by being more nimble, increasingly innovative, and responsive to market changes. As the world around us changes, we know we have to be in tune with those forces, embrace the opportunity to change with it, and understand that our structure can accommodate whatever comes along. As we end our 143rd year of business, I'm happy to follow Louis Sullivan's suggestion, "form follows function." We'll acknowledge the changes around us, think wisely about how we need to adapt, and create a company that you will want to be associated with for as long as you need us. 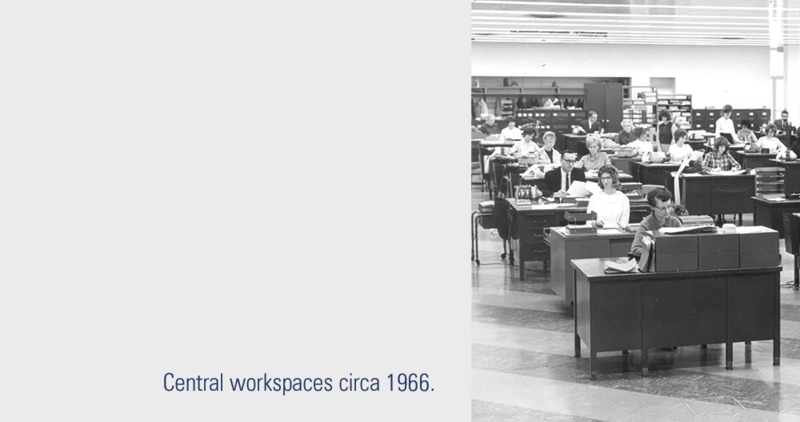 Since 1876, we are proud to be the Central Insurance Companies. What started in 1876 as a small insurance company protecting Van Wert County residents had grown to include customers throughout Ohio and beyond in just seven years. The company’s name was deemed entirely too local for its growing scope of business so the Van Wert County Mutual Fire Insurance Company became The Central Manufacturers' Mutual Insurance Company in 1884. Over the course of the next 140-plus years, as the world around us changed, our company changed with it. 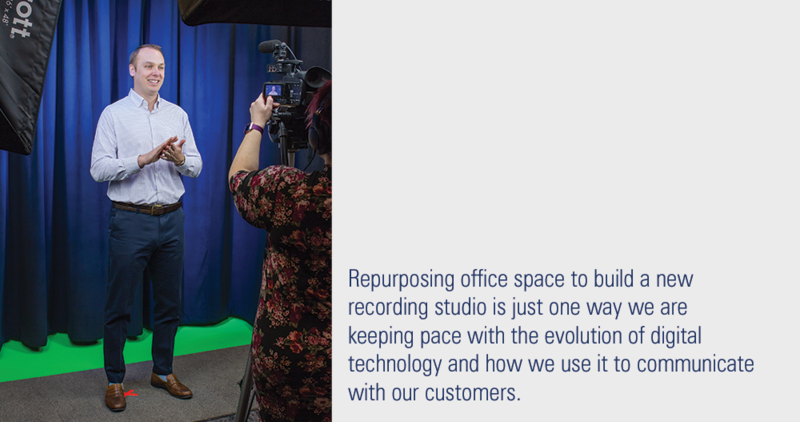 Whether it was evolution based on necessity or the execution of carefully planned growth, the goal was always to make sure our structure, our form, supported the functions we needed to perform to accomplish our strategy. Today, that challenge is greater than ever before. The pace of technology, emerging risks, evolving customer needs and expectations...pressures both internal and external are vying for our attention. We can make the conscious choice to ignore them, deal with them as we always have, or change with them. Many businesses choose the first two options: ignore things or deal with them. After all, if a company has successfully dealt with them in the past, they could continue with this approach, choosing not to make any changes to the company, but at the same time, not expecting any better results. That is the challenge. If you want results to improve and to become better at what you do, something has to change. 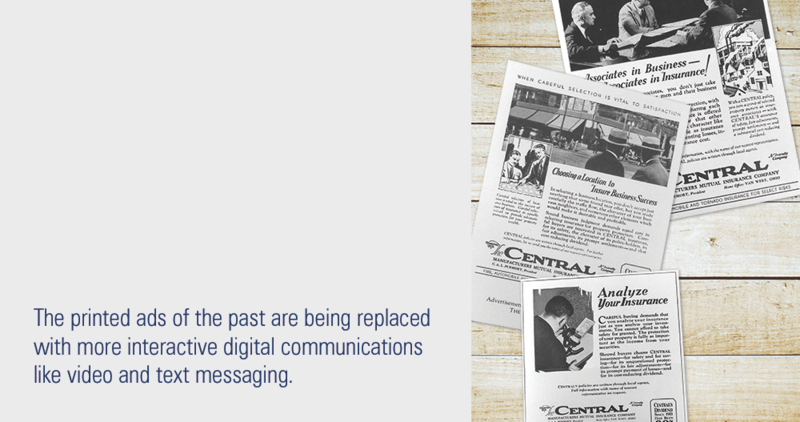 Change isn't a new concept for Central. Adapting our form to ensure we can fulfill our purpose has led to positive changes in our company throughout our existence. In the 1950's, we reduced our agency partnerships from thousands to hundreds, allowing us to refocus our distribution channel on relationships and franchise value for our agents. 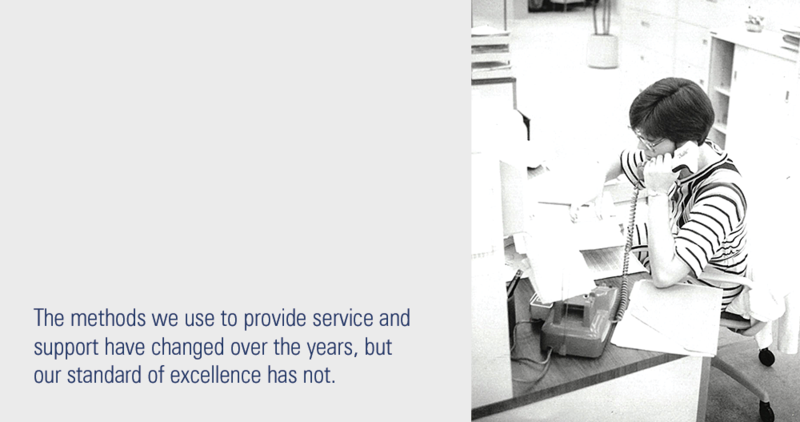 In the early 2000s, we centralized customer services and developed what we consider the premier service model in the country. At the same time, we continued to build upon our geographic footprint by expanding into new states, increasing our spread of risk and writing new profitable business. In 2007, we completed a major renovation and expansion of our Home Office building to support future organizational growth and development. The form of our building needed to change so we could continue functioning successfully. We expanded our focus on customer service in 2016 with the creation of Central Client Connection. We recognized the opportunity to develop our own model dedicated to improving the deficiencies of other service centers in the marketplace. The result is a best-in-class service model that offers a customer experience which sets us apart in the markets we serve. The past few years have brought changes to improve responsiveness and access to information for our customers with a more robust myCentral policyholder website, converting our websites to improve accessibility on mobile devices, and adding an extended hours, bilingual service team. Most recently, the addition of an Innovation team allowed for better collaboration among our business units to explore and prioritize new opportunities, review our processes for continuous improvement, and research new products and programs. These are all areas where we've made a conscious decision to change how we've done things and each has been important to the continued success of our company. Now, as we look forward to improving communication, collaboration, and capabilities to focus on the ever-changing needs of our customers, we need a form that will allow that future state to become a reality. Structural changes will break down silos so we can meet current challenges head on and identify significant opportunities to make a meaningful impact. Develop more vibrant, proactive pricing models to provide a much more accurate and customized rate for each unique risk. Establish more creative and targeted program and product development to improve our speed to market. Align our people and our resources to improve utilization of our talent and expertise across all areas of the company. Leverage more targeted and meaningful analysis of our data to support cognitive decision making and manage spread of risk. Optimize our processes to be more proactive rather than reactive. 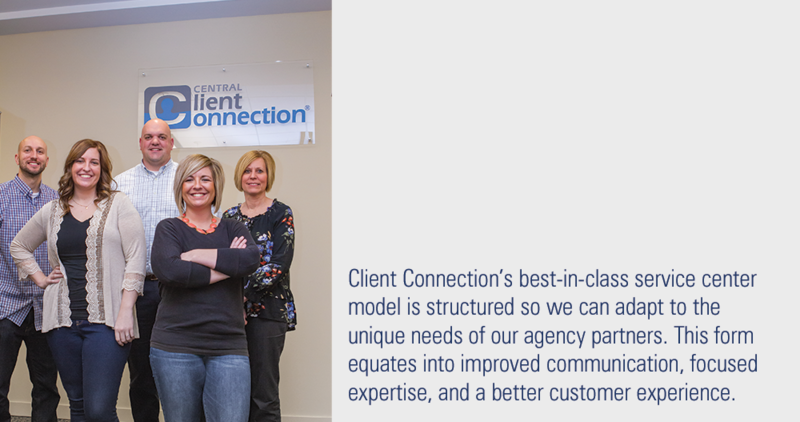 Expand our focus on the customer experience through better communications, strategic allocation of resources, and hospitality-focused service such as that provided through our Client Connection service center. Invest in opportunities to expand our technology resources to exceed customer expectations in responsiveness and communication. We've established that we're not fearful of change, but these changes are on a broad scale and have required an adjustment to the organizational structure of our company. Intimidating? Yes. Exciting? Absolutely! Not being afraid to make the leaps we need to make so we can fulfill our promises is a very empowering feeling. Our core value of Excellence allows us to consider making these leaps, and along with the values of Relationships and Integrity, allows us to recognize that we need to move away from current struggles and take advantage of future opportunities. And there certainly may be more opportunities we have yet to identify. 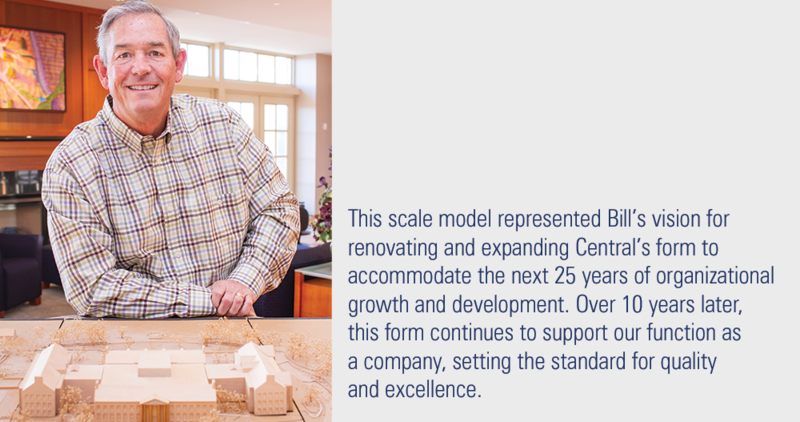 Our work to recognize and pursue these today will deliver benefits to our customers in the future, helping make Central an even stronger and more resilient company. As Mr. Sullivan suggests, change is necessary to meet the expectations of an ever-changing world. He is careful to say that our form should adapt and it is important to note he is silent about who we are. He believes the culture of an organization is as important as the steel beams which support one of his designs. Culture gives our company its inner strength to succeed, endure, and adapt. We believe deeply that our corporate culture is the foundation on which we’ve built our company. It is incredibly strong and based in our core values of Integrity, Relationships, and Excellence. These values permeate every brick, board, nail, and person at Central. Our culture is the motivation to remain dedicated to fulfilling the promise to provide security, protection, and peace of mind to our customers for over 143 years. It serves as a constant reminder of how important it is to give back to our local communities and make a difference in the lives of others. And it provides a means to attract and retain compassionate, caring professionals who want to build on our past successes to perpetuate a strong future. We see this as an evolution driven by our unwavering culture. We will continue to grow, adapt, and develop, but always remain true to our culture. This information is not intended to supercede, or be as comprehensive as, the statutory annual statement filed for each company with the appropriate state insurance departments. The statutory financial statements of Central Mutual Insurance Company and Consolidated Subsidiaries have been audited by Plante & Moran, PLLC. Complete copies of the statutory financial statements have been filed with the appropriate state insurance departments and are also on file at the Home Office of the Central Insurance Companies in Van Wert, Ohio.